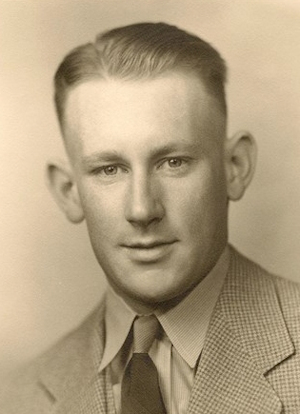 Obituary – Casey, Edsel Ray « Perry High School Alumni Association, Inc.
– age 17, son of Mrs. Ray Casey, was born in Billings, October 12, 1923. He has attended school in Wichita, Kan., Billings, and for the past year has been a member of the senior class of the Perry high school. 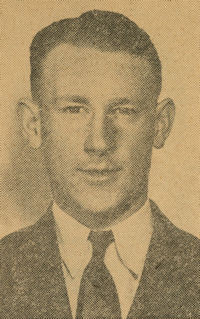 He served on the Perryscope staff and as a reporter for the Perry Science club. He was a member of the Billings band for four years. His hobbies are the studying of seismograph equipment, motion picture production, swimming and tennis. He plans to go to Oklahoma A. and M. college to take electrical engineering or with a seismograph company. Edsel Ray Casey, 73, of Las Cruces died Thursday June 12, 1997 at his home. He was born October 12, 1923 in Billings, OK., served in the U.S. Army during World War II and had been a resident since 1947. Mr. Casey was a retired Quality Assurance Specialist from NASA and a member of ASQC, (American Society of Quality Control), El Paso Chapter. He was also a former member of the Elk Lodge. Survivors include his wife, Laura Casey of the home; one step-son, Edward Holstegge and wife Marcy of Houston, Texas; two daughters, Ann Marquez and husband Leo of Las Cruces, Connie Raw Casey of New Orleans, LA; one step-daughter, Bether Martin and husband David of Roswell; seven grandchildren, Michaelle and Ryan Marquez, Rebecca Martin, Melissa, Jessica, Levi Casey and Joel Thomas Holstegge and one great-grandchild, Kataryne Elizabeth Marquez. Visition will be held Sunday, June 15, 1997 from 3 to 5 PM at Getz Funeral Home. The Funeral Service will be Monday, June 16, 1997 at 10 AM in Getz Funeral Home Chapel with Rev. Mark Rinka, Pastor of Las Creuces Baptist Church officiating. Burial will follow at Hillcrest Memorial Gardens Cemetery. Arrangements by Getz Funeral Home, corner of Bowman and Solano, Las Cruces, N.M.